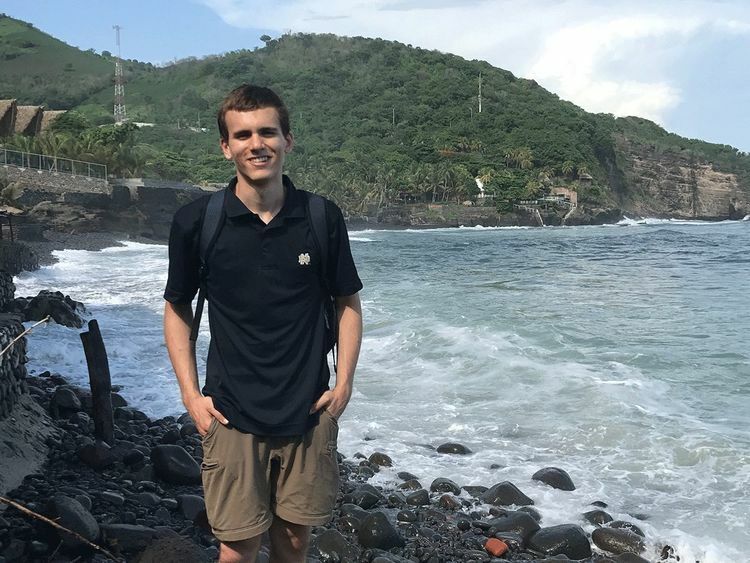 In summer 2016, Notre Dame senior Andrew Grose studied abroad in Spain — taking a headfirst dive into a language and culture he loved and had studied for years. The experience confirmed for him that whatever path he takes after graduation, Spanish will be a part of it. “In learning how to speak Spanish, I’ve learned how to create trust and understanding with others,” he said. “Putting the effort into memorizing words, forming sounds, and constructing conversations in another language pays off when we get the chance to communicate with people who offer something exciting for us to learn. Grose, a Spanish and preprofessional studies major, is planning a career in medicine and knows his language skills will be a valuable asset — a fact that was underscored in a course on Latin America he took last fall. The class, led by Associate Professor Marisel Moreno, included discussions on the history and culture of the region, as well as why people from Latin American countries come to the United States and their experiences here. Through the course, Grose also began tutoring school children at La Casa de Amistad, a Latino community organization in South Bend. 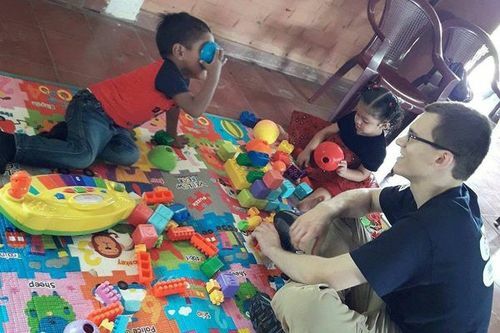 This summer, Grose combined his passions in his work for FUSAL, a social services nonprofit in El Salvador, through the Center for Social Concerns’ International Summer Service Learning Program. In one of the poorest regions of the country, long wracked by violence, Grose spent two months logging the height and weight of pregnant women and their children as part of a larger effort to improve their nutrition. The organization also assesses children’s gross motor skills, distributes vitamins and shoes, and gives cooking classes to help people get the most out of the sometimes scant food supply they have. 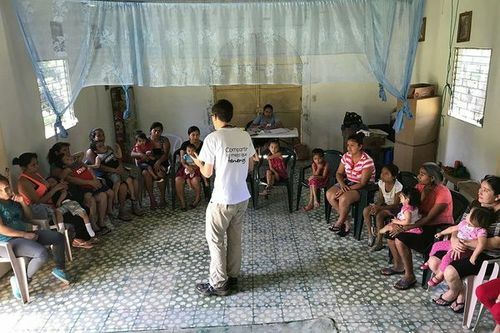 Grose speaking with mothers and children at Libras de Amor, an organization fighting poverty in Morazán, El Salvador. Grose plans to return to El Salvador after graduation to conduct research on community mental health. He’s seen how the region is still struggling with the lasting effects of the Salvadoran civil war — which lasted from 1979 to 1992 — and mental health issues that may be related to it. He hopes to shadow mental health care providers and collect opinions and testimonies from residents in order to recommend courses of action for mental health and human rights organizations to take. A significant reason he has been able to find his niche, he said, is that Notre Dame has helped him explore knowledge on many fronts. Thomas Anderson, professor of Spanish and chair of the Department of Romance Languages and Literatures, expects that Grose will make the most of his experiences this summer and going forward. Originally published by Brian Wallheimer at al.nd.edu on September 06, 2017.